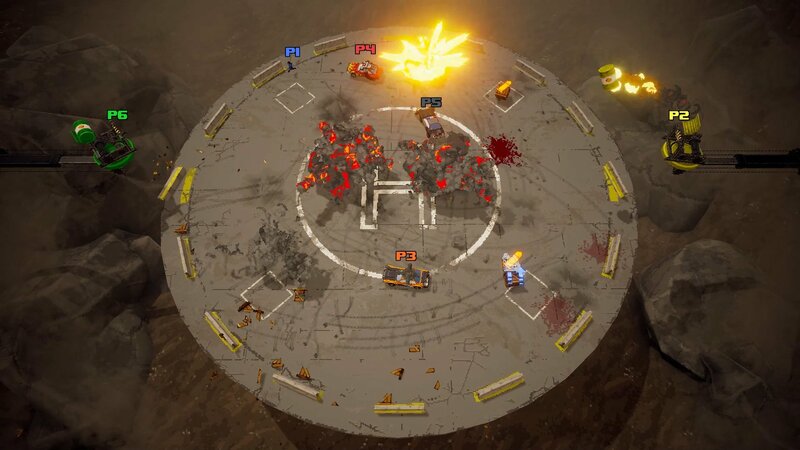 Thunder Rally Interview: "We want to create chaos"
A classic, arcade-style overhead view and fast-paced multiplayer action make Thunder Rally the perfect couch co-op throwback. Thunder Rally, the new multiplayer-focused destruction derby game from Typical Entertainment, evokes the spirit of the arcade classics that ruled the industry nearly thirty years ago. Seeing it in action reminds one of time spent with Ivan “Ironman” Stewart’s Super Off-Road or Rock ‘n’ Roll Racing. The team behind the game hopes to strike a chord with gamers yearning for the couch co-op days of old. We got a chance to speak with Eric Davis, Technical Artist at Typical Entertainment, while he was demoing the game at Pax West 2018. Davis gives a rough overview of the game and then dives deep into the various powerups in Thunder Rally. These pickups are designed to give you an edge while simultaneously enraging your opponents. Ideally, you’ll all be sharing a couch and the match can erupt into a fist fight. Local co-op is the best. The team at Typical Entertainment hopes to have the game ready to launch this fall. Thunder Rally will be available on Steam, Xbox One, and Nintendo Switch. Head over to the Shacknews and GamerhubTV YouTube channels for some additional exclusive interviews, gameplay, walkthroughs, and other gaming and tech-centered videos. We promise that you won’t leave disappointed. Chris Jarrard posted a new article, Thunder Rally Interview: "We want to create chaos"